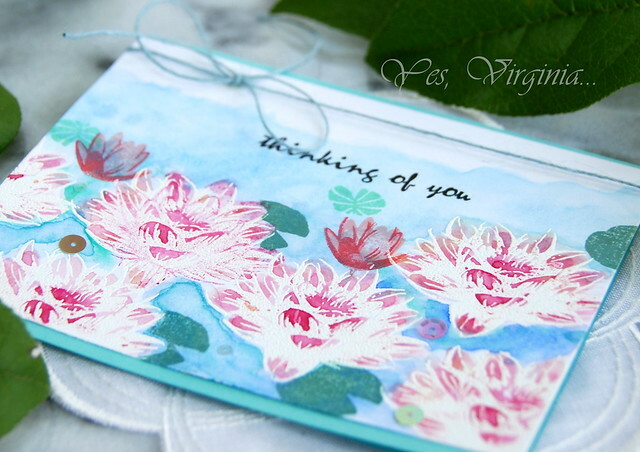 I am popping in with a post about this new (to me) stamp set called Water Lilies from Hero Arts. I decided to use watercolors for this project. After all, it is Water Lilies right? 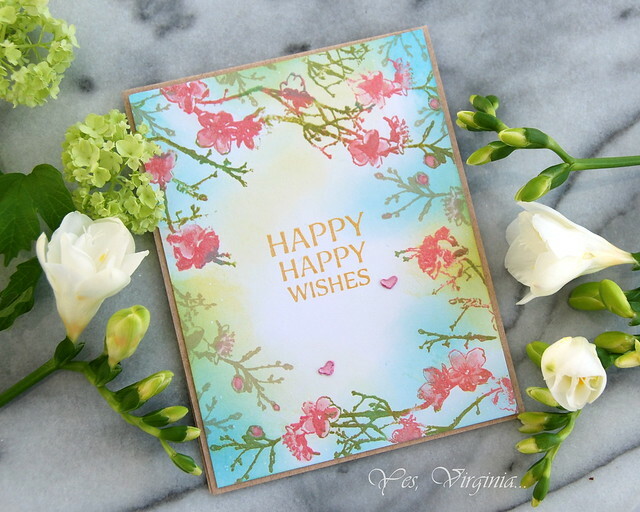 I started out with the white embossing on Bristol paper. Then I used my favorite watercoloring medium Gansai Tambi Watercolors and a bit of Prima Marketing Metallic Accent Watercolors. I love how these stamps can bring out the "artist" in me. Well, that's it for today! I will be back for another version with the same stamp set next week! 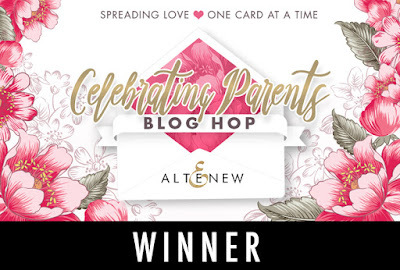 edited: the lucky winner of Altenew $15 gift card will be announced tomorrow. Altenew stamps/ dies Sale here. Simon Says Stamp May Card Kit is still available here. 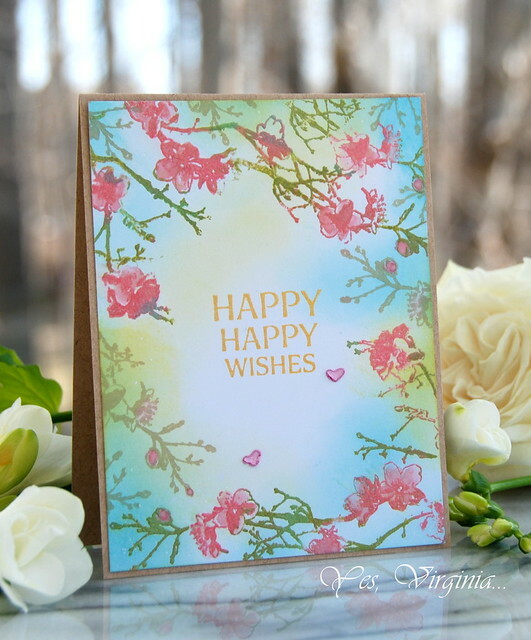 I love using MISTI and I love Distress Oxide. I gradually built up the frame by positioning it as far as the MISTI allowed me to. You need regular MISTIfor this large stamp. I used just a few colors and was able to ink up different colors in each small area. Now that I really wish Ranger will come up with Mini Distress Oxide! It would be so much easier to do multi-color stamping. Since it's stamped in Distress Oxide, I was able to clear-emboss it with Clear Embossing Powder without using Versamark. 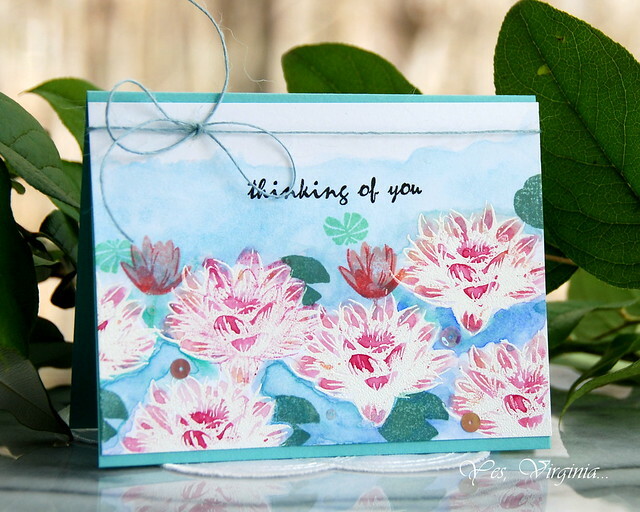 since it's stamped in Distress Oxide, I was able to color the small petals with a Small Watercolor Brush with the inks! Very cool, right? I truly had a great therapy session with stamps and inks! By the way, for the two tiniest pink hearts, I used Bird Abode Metal Die and Nuvo Pink Embellishments Mousse. Very cool, right? 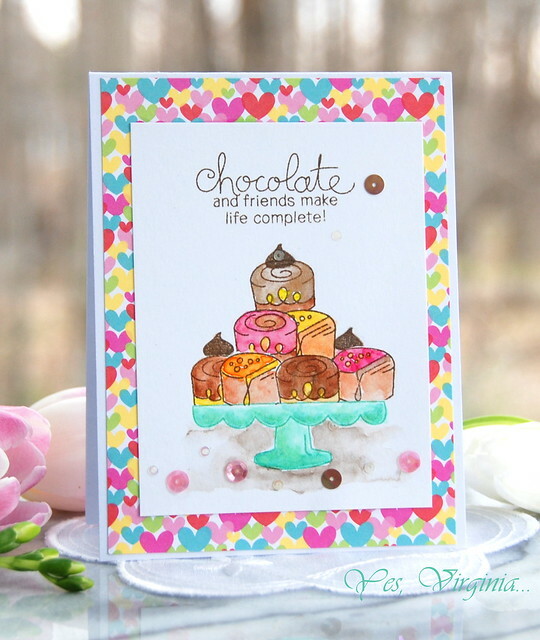 You can find all the items that I use over Simon Says Stamp here. (Affiliate inks are applied. I truly appreciate that you use my links to make your purchase). 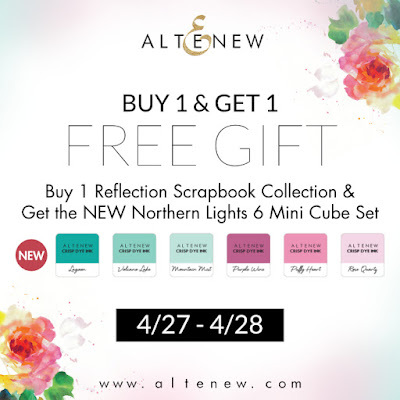 I want to pass on the Altenew promotion in case you are interested. Congrats, Teresa, please contact me becr8ive2@gmail.comto claim your $30 gift card to Altenew store. Yay! BTW three winners of a $50 Altenew gift certificate will be announced on Tuesday, May 2nd at 5:00 pm EDT on the Altenew blog. 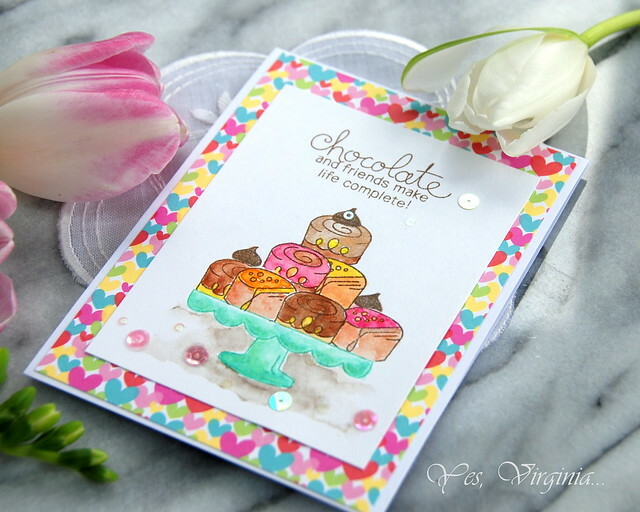 For my project, I am using Love and Chocolate Clear Stamp. 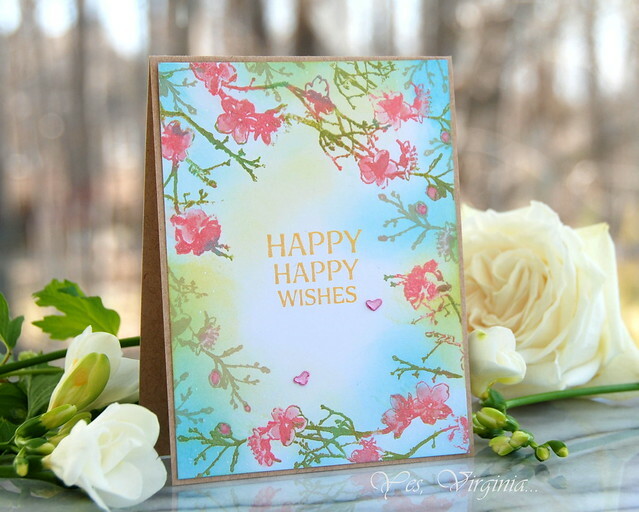 I love the fine lines of this stamp and it is super easy to color. I had a lot of fun creating this sweet scene with some masking. Since the chocolates are small, it takes little time to do the masking and stamping. I took out my favorite Gansai Tambi and add my own watercolors. The sentiment is so right and fun! I'll take chocolates and friends at any time of the day!